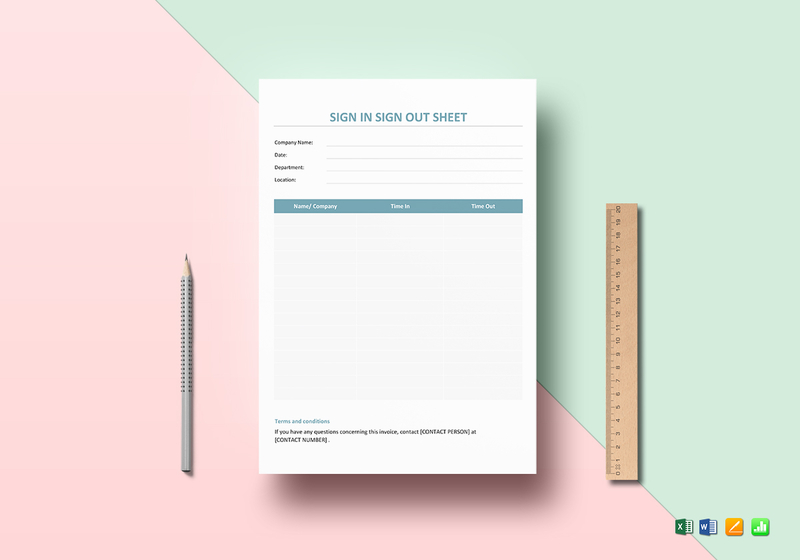 Help create effective monitoring systems using this Sign In Sign Out Sheet Template. Be aware of the comings in and out of staff and visitors with this template. 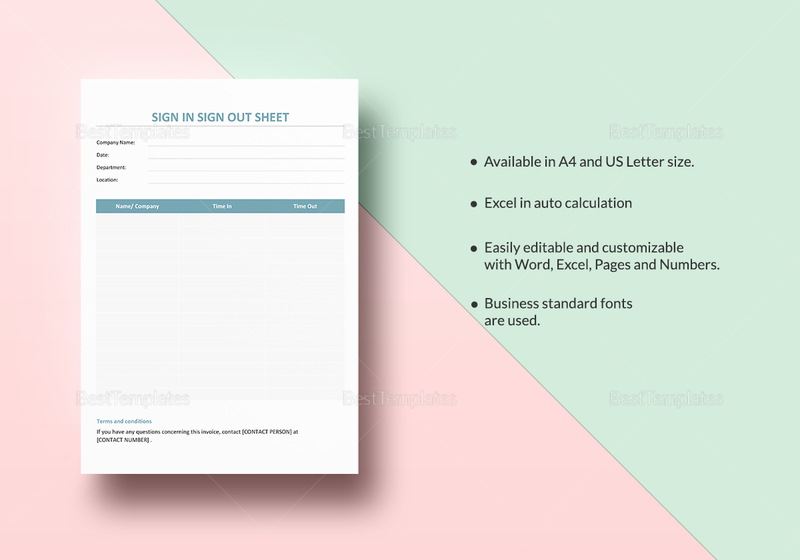 This easy to edit template comes with standard business fonts in A4 and US letter sizes. Edit using any chosen application that supports MS Excel, MS Word, Numbers, or Pages file formats.